Last summer I had a summer series that featured player profiles. 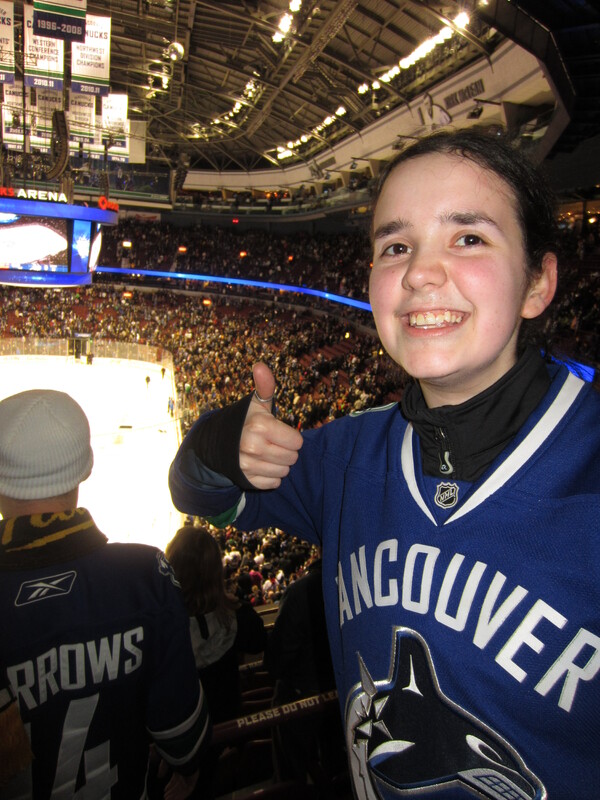 THIS year, I decided to make it a summer about my favourite part of Vancouver Canucks hockey: YOU, the fans! What am I asking? To feature YOU, the fans on the blog all summer long! 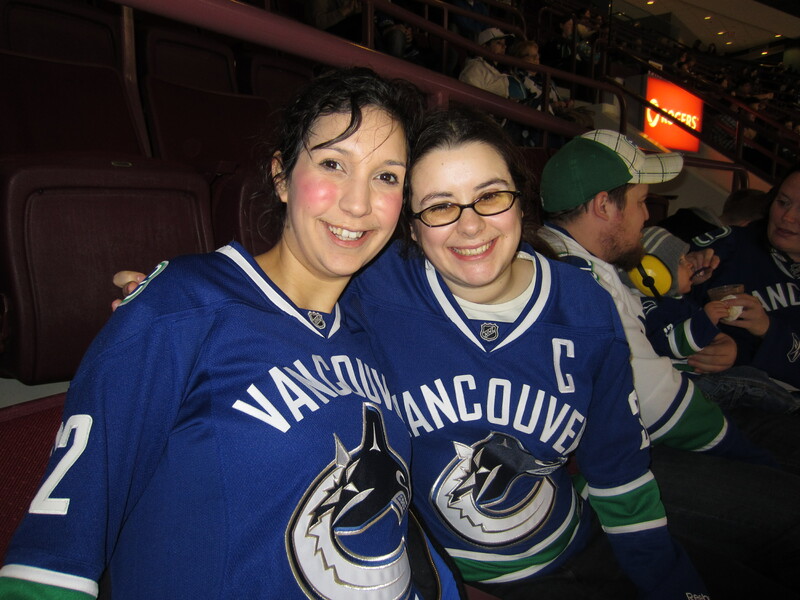 I would love to feature YOU, all that is required is the willingness to answer a few Canucks oriented questions and be a part of the series that will feature your answers, anecdotes and whatever else it is that makes you a fan of hockey and my Canucks! 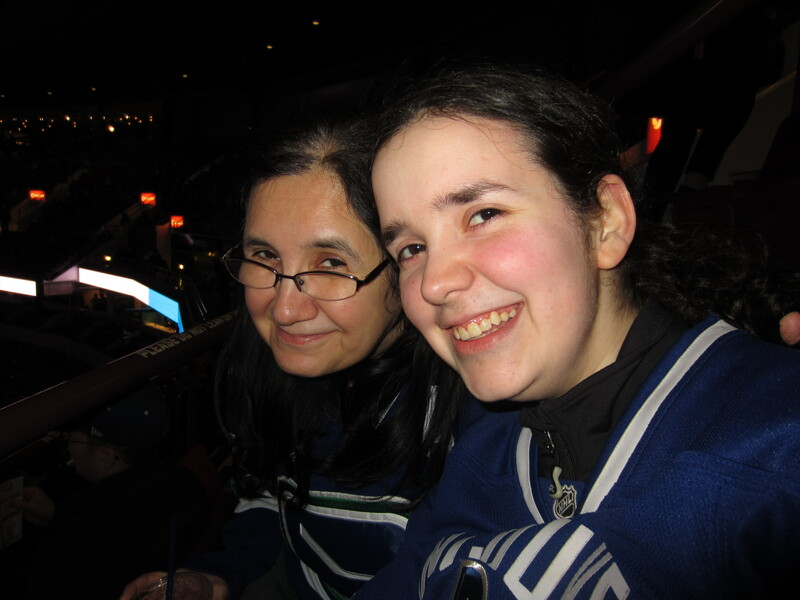 Whether you have been a Canucks fans your entire life, or for only a little while, or if you grew up in BC, live across the country or halfway around the world, I would love to hear your Canucks story! If you would like to be a part of the series, please let me know and send me an e-mail: nucksaid@gmail.com with the subject line TRUE BLUE and I will send you the questions to answer at your convenience! Social Negativity, I’ve had it with you! Wow, it really is incredible how quickly social media can determine the opinion of millions. 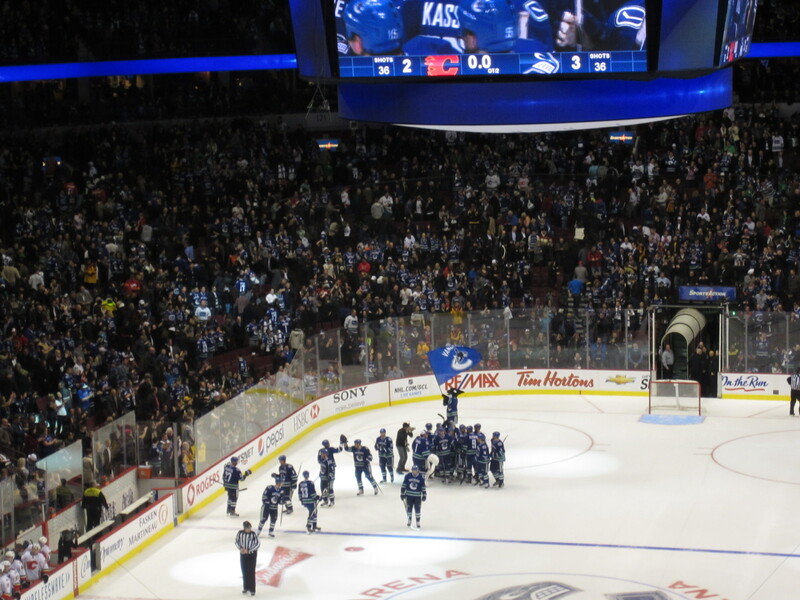 It is really disheartening to see all of the negativity that is out there right surrounding the Canucks. Is it a little disappointing to see the way things have played out against the Sharks in the first 3 games? Yes, but the worst part of the first round so far has been the reaction of the local media and the fans across the many avenues of social media. I know that it seems impossible and improbable to most fans that the Canucks can win tomorrow’s game let alone this series. Teams have come back from being down 3-0 although only a few teams have come back to win [Philadelphia in 2010 against the Bruins! 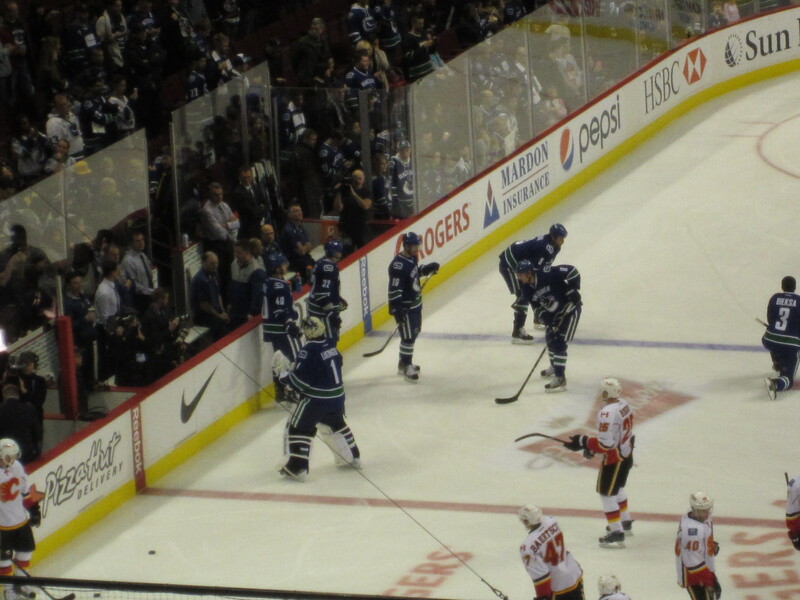 ], many have clawed their way back to make series that seemed predictable and unlikely very intriguing [Blackhawks against the Canucks 2011, Detroit against the Sharks 2011]. I’m not saying the Canucks will or will not come back from being down 3-0, I know that it is a highly unlikely path BUT I am saying that however slim a chance it may be, there is always a chance. You can call my delusional if it makes you feel better, but I have always believed that there is nothing wrong with having a little positivity once in a while. There is nothing wrong with cheering for your team especially when things are not going well. You should feel free to cheer for your team no matter what. Social media outlets should NOT determine or help shape your opinion of the team. I am sick to death of the negativity that has taken over social media the last few days. It would be nice to hear about the local media and fans actually rooting for the team instead of tearing it down on a daily basis. Perhaps instead of jumping constantly to the negative you should try being positive. Sometimes, I really hate social media! It is incredible that no matter the size of a mistake that social media spins it completely out of control until all one can see in their timeline is the negative. Well, I have had my fill, thank-you very much. No more negativity for me today! I may be one of the few positive fans out there, but that’s okay! I will be positive for all the doubters! Will you be joining me in cheering for our team in game 4? I hope so, the team needs YOUR support. 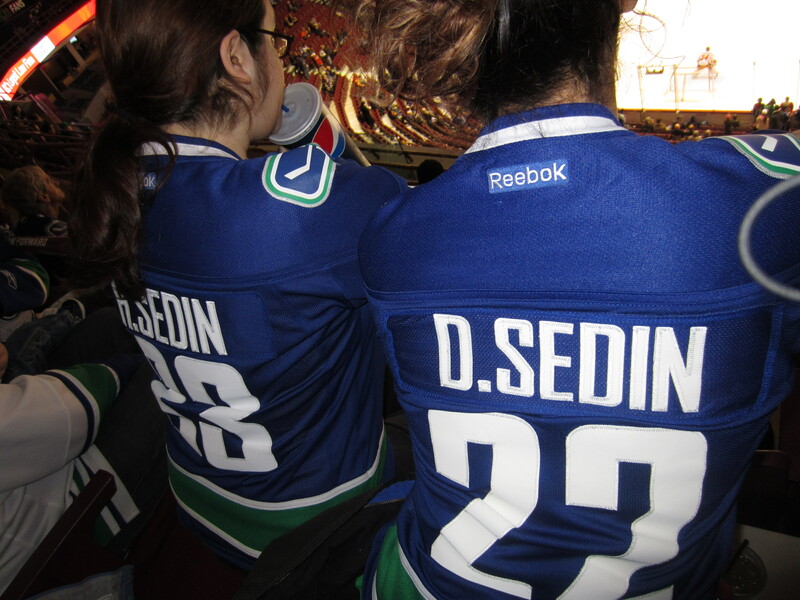 No matter what the outcome in tomorrow’s game or this series I will still be cheering for my Canucks. If it’s not me of the Winter Classic trying to convince all the fans around the world that there just may be hope for the season yet…maybe you will at least consider hearing one of the all-time greatest defenseman to lace the skates voice his opinion on the matter. There is a statue of him near some arena in Boston. On a good night in some games, they say it seemed as though he could fly. His style and ability to move the puck from one end of the ice to the other almost effortlessly made him nearly unbeatable. He put the pedal to the metal in the setting of many records. How many defensemen in the league have won the Art Ross[most points in the regular season] more than once?! When was the last time a defenseman put up 100+ points let alone 139[the closest to that mark last season was Karlsson with 78 points]?? I am of course talking about Bobby Orr. Sincerely one of the greatest players to ever lace up the skates before his much too early retirement[at age 30!] due to injury. A career that was ended earlier than many had hoped…but in his 12 year career he amassed many NHL records….including 8 consecutive Norris trophies and 3 consecutive Hart trophies, 2 Art Ross Trophies, 2 Stanley Cups & 2 Conn Smythe Trophies. Not too mention that twice he scored the cup clinching goal. Bobby Orr knows hockey. Am I a fan of the Boston Bruins? NO. Will I ever be? NEVER. I am however a fan of Bobby Orr and the player that he was…how can one not admire his career an undeniable stats that by themselves nearly demand respect? Bobby Orr is one of the all-time greats that ever laced up the skates…and his opinion on the subject is one worth at least considering. Believe it ORR not but I’m sticking by this Bruin[& only this Bruin] and his belief that a fair deal can be reached sooner rather than later and that we WILL get a season. It is too soon to cave to Bettman’s will and lose hope. There is still room for optimism. Just ask Bobby Orr and he will tell you that there will be a season…that is all.